The wallet that you choose can have a serious impact on your day to day activity. If you’re looking for a minimalist wallet, genuine leather is a fantastic material choice. Identifying genuine leather is simpler than you might think. 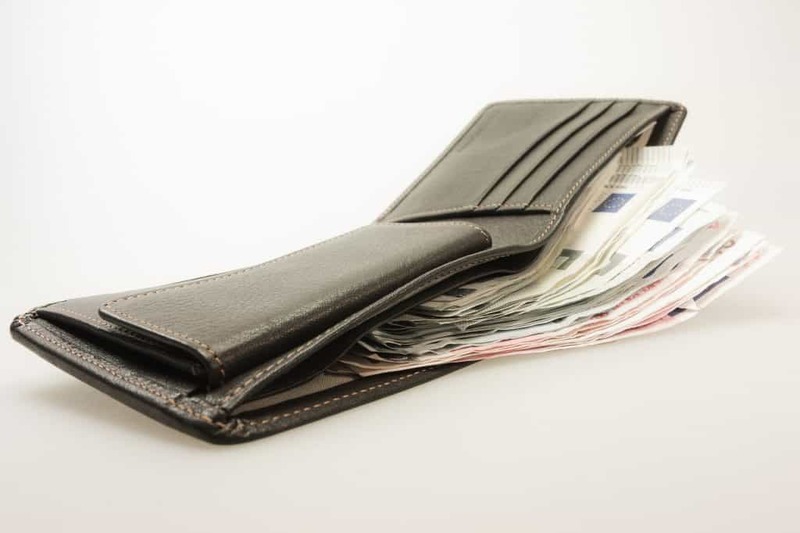 In this article, we will give you the rundown of leather as a wallet material. We’ll also walk you through the process of identifying genuine leather and telling it apart from fake leather. 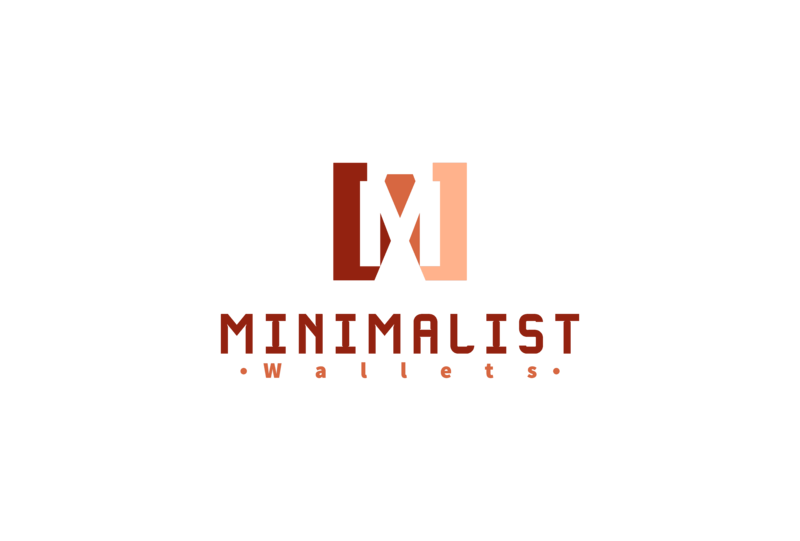 Knowing what to look for can help you find that perfect minimalist wallet. Let’s get started! A minimalist wallet with a sleek profile is not only easier to carry, but better on your spine! Sitting on a bulky wallet every day may actually begin to cause misalignments in your lower back. Genuine leather is a great minimalist wallet material because it’s durable, flexible, abrasion resistant, and downright attractive. There are a few ways that you can identify whether or not a wallet is truly constructed of real leather. Before you begin shopping, it’s a good idea to consider the seller. The vendor or merchandising agent that you’ll be buying a wallet from should be a reliable and known seller of quality products. Picking the right seller can save you a lot of hassle and aggravation in the future. 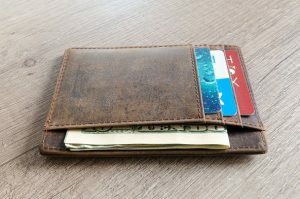 Shopping for real leather merchandise online should only be considered if you’re purchasing a wallet from a reputable seller with good customer satisfaction ratings. Knowing the history of genuine leather and why it’s actually a fantastic material choice can help you search for real leather products. There’s a lot more to leather than meets the eye. Let’s take a look at a few facts about this versatile and reliable material. Leather has been a huge part of Western Wear since the 1870’s. Its been used for chaps, saddles, belts and more. Leather has been a readily available and reliable resource to pioneers and revolutionaries throughout human history. It’s so durable and dependable, it’s truly the best material choice for objects like wallets, belts, bags, and purses. Genuine leather is produced through a process of preparation, tanning, and crusting. It can then be coated, treated, and used to create a wide variety of products. Most leather today is obtained through responsible farming methods. It does a good job of utilizing a resource that would otherwise go to waste. There are many benefits to owning a wallet made of real leather. Genuine leather has physical properties that other materials simply can’t match. Apart from its cultural significance and style characteristics, genuine leather is a versatile material that has serious longevity. There aren’t really any other materials that can match the flexibility and versatility of real leather. It can be used for the exterior, interior, or entire construction of a minimalist wallet. Few materials can compete with the longevity of genuine leather. It responds very well to the daily wear-and-tear that it can be subjected to when used to construct a wallet. Real leather can last for years, if not decades. This makes it ideal for use in products that will have to be used every day, such as a minimalist wallet. Genuine leather gains personality with wear. Unlike other materials that rip and fade, genuine leather just gets a softened and careworn feel over the years. Animal hide has been used for nearly all of human existence, it’ll likely never go out of style. Unlike synthetics and plastics, genuine leather is all natural. It takes a resource that’s readily available and uses it responsibly. Most leather is obtained using very humane methods that utilize all parts of a livestock animal. It actually prevents waste and doesn’t cause allergies or carry carcinogens. The production of real leather generally has a smaller ecological footprint than the manufacturing of mass synthetic materials. Now that you know the background of this material, let’s learn how you can identify genuine leather in the product that you’re looking at. Real leather is made from animal hides. These hides usually come from cows, sheep, or goats. The hide undergoes a process of tanning and then preparation that coats it and helps it to last for decades. Some leather makers add an additional layer of coating called the finish. The are three main types of leather. Aniline leather – The purest form of leather that is usually not coated. This is not the best type of leather for a wallet to be constructed of. Semi-aniline leather – This type of leather is second purest. It has a light coating and will work for a soft wallet, but may be subject to scratching and sun damage. Pigmented leather – Pigmented leather has a layer of pigment on its exterior. It’s probably the best leather choice for a minimalist wallet due to its durability and abrasion resistance. There are many synthetic and faux leather imposters out there. 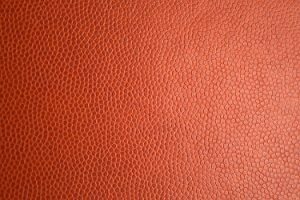 There are two common types of fake leather. PU Leather or Polyurethane Leather – Made of split leather fibers and a polyurethane coating. PVC Leather or Polyvinyl Chloride Leather – Made of polyvinyl chloride, a kind of plastic used for plumbing pipes. There are many key differences between genuine and synthetic leather. These differences are in quality, durability, efficiency, smell, feel, and versatility. You don’t want to be tricked into purchasing a subpar product. Knowing what to look for can be very helpful. Below, we will point out a few ways that you’ll be able to tell these vastly different materials apart. The easiest way to check if something is made of genuine leather is to read the label. A real leather product will usually tell you which type of leather has been used. Two specific common types of genuine leather are “top grain” and “PU” leather. If you don’t trust the label or can’t find a label, read on. Real leather has a varying texture from coarse to smooth. It doesn’t feel the same all over. If it feels too much like plastic, it probably is. Real leather also feels warmer than faux leather. It’ll have almost a room temperature general feeling. Genuine leather has a very distinct odor. It’s a nice, outdoorsy scent. Generally, it’s pretty hard to miss. Real leather is natural and will have uneven pore patterns. No two patterns will repeat. Fake leather will have pores that are all the same or repeated in patterns. Press on the leather in question firmly with your index finger. Genuine leather will spring back into shape after being touched. It has more elasticity than faux leather. Faux leather is stretchier when pulled, but will hold an indent after you press on it. As you can see, genuine leather is a fantastic material choice for your minimalist wallet. It’s durable, resilient, attractive, versatile, and utility friendly. We hope that these facts about real leather will assist you in your search for the ideal minimalist wallet. Use the above 5 tips when shopping to help you easily identify whether or not the minimalist wallet you’re thinking about buying is truly made of genuine leather.